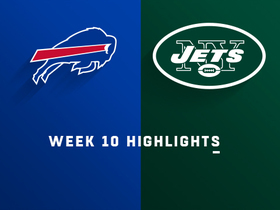 The Bills placed Milano (leg) on injured reserve Tuesday, Mike Rodak of ESPN.com reports. Analysis: Milano broke his fibula during Sunday's loss to the Jets and underwent surgery soon after. While he will miss the remainder of the season, he is expected to be ready for training camp next season. Even with the pending three missed games, Milano finishes his second season with a strong 78 tackles, three interceptions and three fumble recoveries. 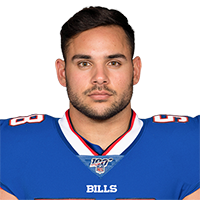 Milano (leg) underwent surgery Monday, Mike Rodak of ESPN.com reports. Analysis: Milano sustained a broken fibula during the fourth quarter of Sunday's 27-23 loss to the Jets. Following surgery, Milano will miss the remainder of the season but believes he can be ready before next season's training camp. Milano was carted off the field due to a left foot injury he suffered in Sunday's game against the Jets, Joe Buscaglia of WKBW.com reports. Analysis: Milano got twisted awkwardly near the goal line late in the fourth quarter of Sunday's game, and his injury is being diagnosed as a left foot injury. 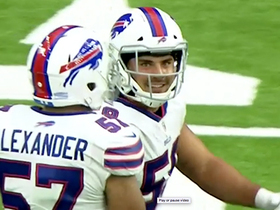 Following the game, Milano was seen hobbling around the Bills' locker room with his left shoe off after he was taken for x-rays, Mike Rodak of ESPN.com reports. Milano recored three tackles (all solo) and an interception in Sunday's win over the Jaguars. Analysis: Milano now has interceptions in back-to-back games and three on the season. He's improved on his 2017 season in nearly every statistical category and he still has five games left to play. 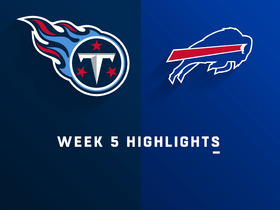 Looking ahead, Milano and the Bills will take on the Dolphins in Week 13. Milano has cleared the concussion protocol and will play in Sunday's game against the Jaguars, Chris Brown of the Bills' official site reports. Analysis: The bye week came at the perfect time for Milano, as he'll practice fully Wednesday and won't miss any game time. 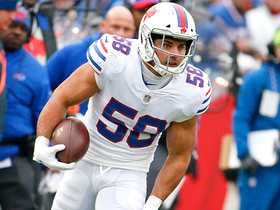 He's been quite the playmaker for the Bills in just his second season, recording 61 tackles, six passes defensed, two interceptions and three fumble recoveries through 10 games. 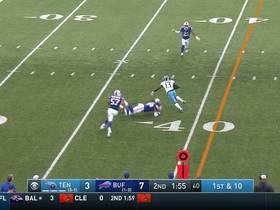 The Buffalo defense is much better with him out there. Milano remains in the concussion protocol but will practice Monday on a limited basis, Chris Brown of the Bills' official site reports. Analysis: Milano is further along than teammate Derek Anderson even though Milano was injured one game later (Week 10 vs. the Jets). Given that he's already three steps through the protocol and working through No. 4 by partially practicing Monday, Milano looks like a decent bet to suit up Sunday against the Jaguars. Milano is in the concussion protocol following his departure from Sunday's win over the Jets, Chris Brown of the Bills' official site reports. Analysis: Milano has gone from being a low-round draft pick in 2017 to one of the team's most consistent performers (61 tackles, six passes defensed, two interceptions), so any time missed would affect what's turned out to be a strong Buffalo defense. With the Bills on bye in Week 11, there's a decent chance he'll be back for the team's next outing in Week 12 against the Jaguars. Milano (head) recorded six tackles (three solo) and an interception in Sunday's win over the Jets. Analysis: Milano's head injury remains unclear, but he was having a solid game prior to exiting in the fourth quarter. He now has two interceptions this year, improving upon the one he had in his rookie campaign in 2017. 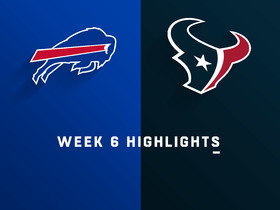 Looking ahead, Milano and the Bills will face off against the Jaguars in Week 12 following this week's bye. Milano is questionable to return to Sunday's game against the Jets due to a head injury. Analysis: Milano exited Sunday's tilt against the Jets during the fourth quarter, so it won't necessarily reflect negatively on his health if he's unable to return. As long as Milano remains sidelined, either Julian Stanford or Deon Lacey will slot into the starting lineup. Milano posted seven tackles (five solo) and two passes defensed during Monday's loss to the Patriots. Analysis: The numbers probably don't do Milano's performance due justice, as he was all over the field in giving his underdog team a fighting chance, at least for three quarters until New England pulled away. 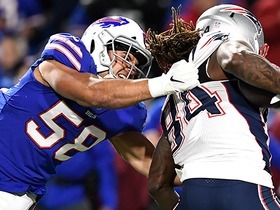 Milano -- who heads into Week 9 with 53 tackles, 1.0 sacks, five passes defensed, an interception and a three fumble recoveries -- could be leaned on even more this week against the Bears if rookie teammate Tremaine Edmunds isn't cleared from the concussion protocol. 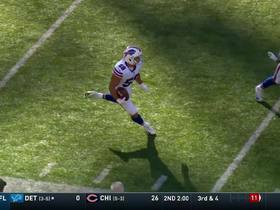 Buffalo Bills linebacker Matt Milano surprises New England Patriots wide receiver Cordarrelle Patterson with a sack for loss during Week 8 of the 2018 season. 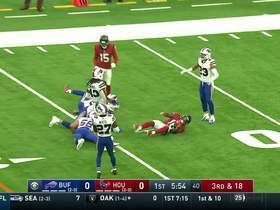 Buffalo Bills linebacker Matt Milano prevents would-be go-ahead TD pass by Houston Texans quarterback Deshaun Watson.